Expires in 3wk . Last validated 1mo ago . Used 7 times. 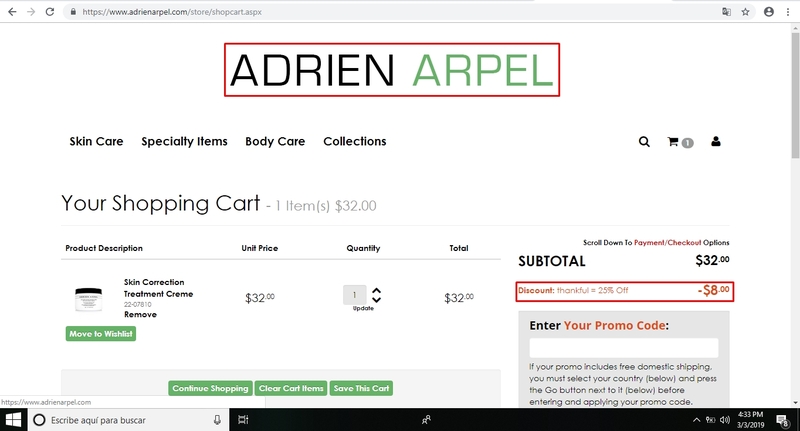 Moises Abraham Portuguez Padrino I have tested this deal and it works as described, just apply the promo code during the checkout process to receive the discount. There may be some exclusions that apply to this deal. Daniel Cross I am validating that this deal work perfectly. 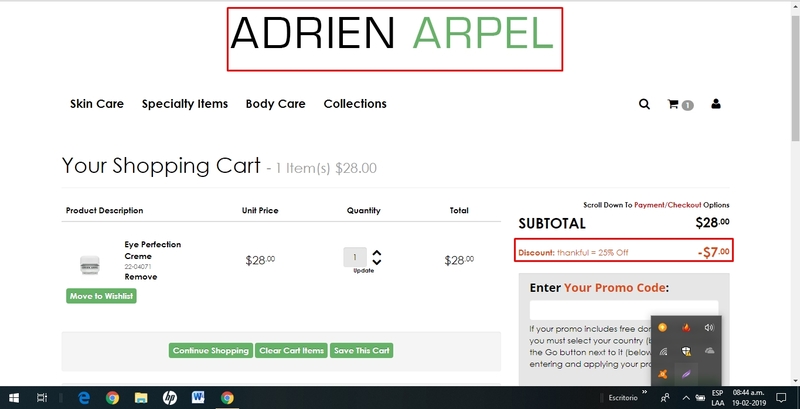 Just apply the promo code at the shopping cart and get 25% Off on Orders of $25 or More at Adrien Arpel (Site-Wide). amelfis herrera Excellent deal for this store, the information is correct, the deal works as described. Francisco Mendez Title updated. Use code THANKFUL. Minimum purchase of $25 required. 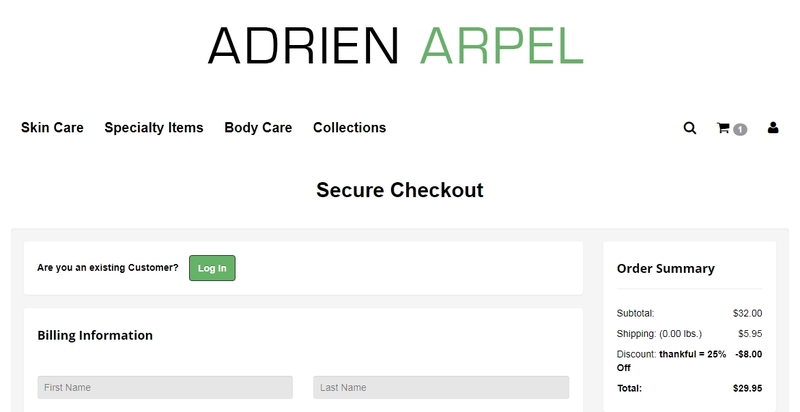 Collections not included. Limited time offer. Not valid on prior purchases and cannot be combined with other offers. Exclusions may apply. Francisco Mendez Use code THANKFUL. Limited time offer. Not valid on prior purchases and cannot be combined with other offers. Exclusions may apply.